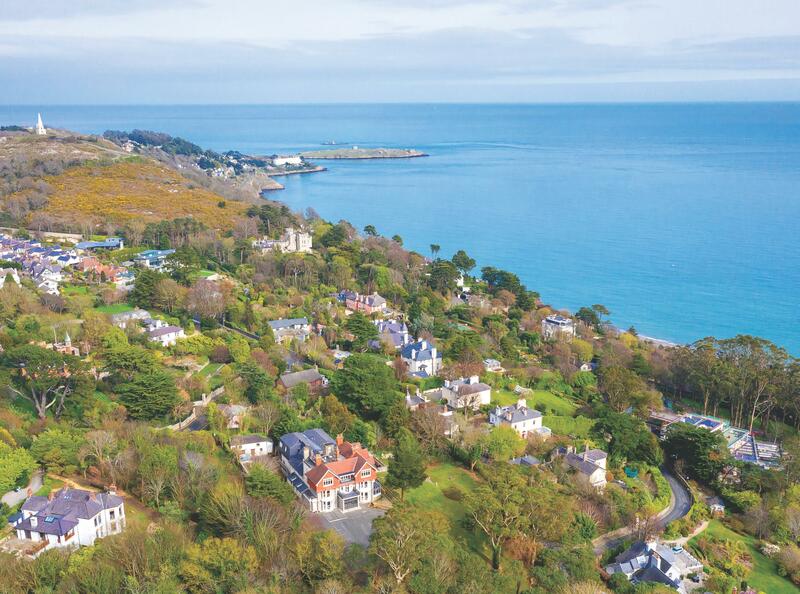 The Grove, W (inland) side of Killiney Hill Road, Killiney, Co.Dublin. See full size and alternative. 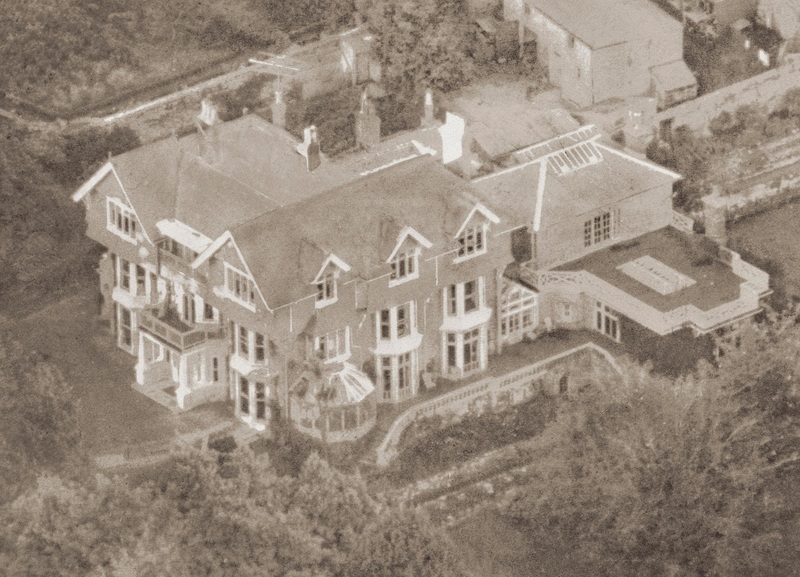 The Grove was built around 1840 by John Hines as a 2 storey house. It had the name "The Grove" by 1850. Joseph Hines is listed at The Grove in [Thom's, 1850]. 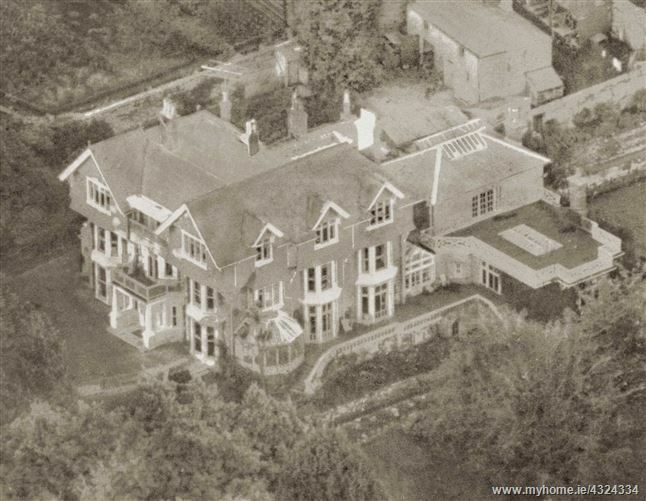 It was expanded to a 3 storey house in the late 19th century. Thomas Greene, J.P., is listed at The Grove in [Thom's, 1921]. It was acquired by James O'Mara c.1925. He was then a Free State TD. He lived there with his wife Agnes Cashel. 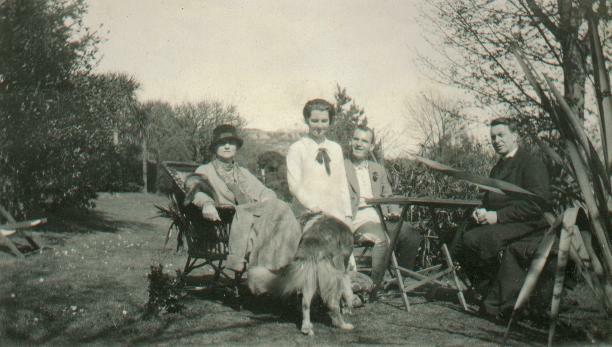 The O'Maras were definitely there by 1926 (family photos). 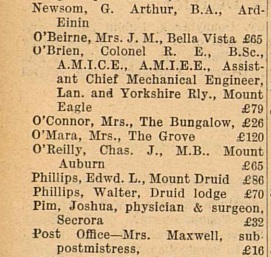 O'Mara is listed there in [Thom's, 1926]. There was a purpose-built theatre and billiards room at the rear of the house. Agnes Cashel's sister Kathleen Cashel died at The Grove in 1947. 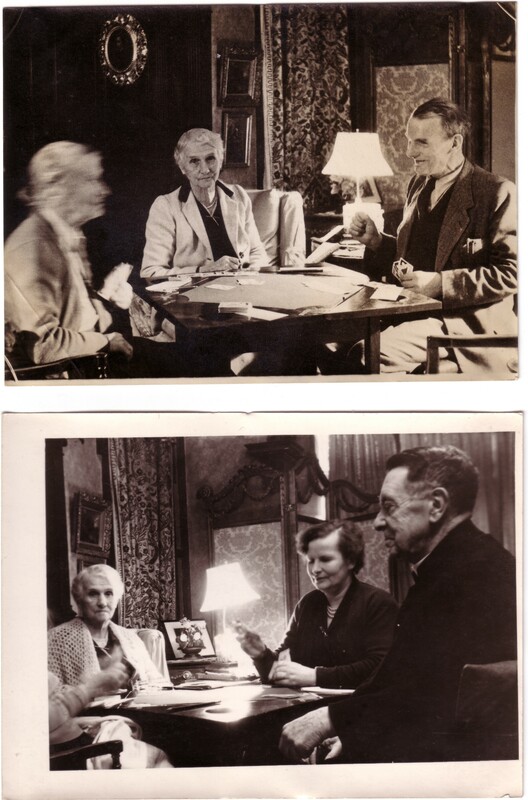 His widow Agnes continued to live at The Grove with the unmarried son Stephen O'Mara. My father showed me in the drawing room the seat by the fire where his grandmother Agnes Cashel used to sit when they played cards in the 1950s. Agnes Cashel died at The Grove in 1958. Family sold it not long after. The Grove became a nursing home, "The Grove Nursing Home", established 1980. Later "Killiney Grove" nursing home. There is a modern extension built at back. The house is protected by a preservation order, RPS No. 1672. The nursing home is closed. The house is for sale as at 2019. 27 bedrooms. 18 bathrooms. 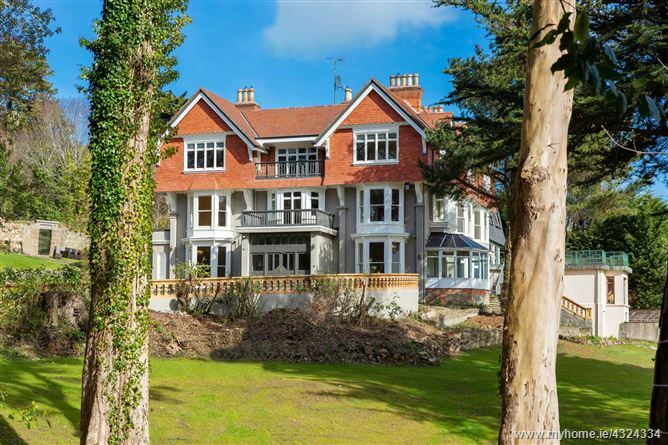 Price € 4.5 m. See myhome.ie. See Irish Times, 4 Apr 2019. 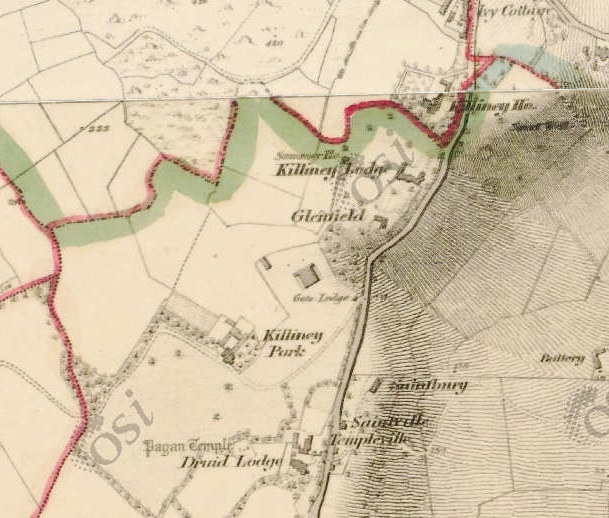 "Glenfield" on 1829 to 1842 map. 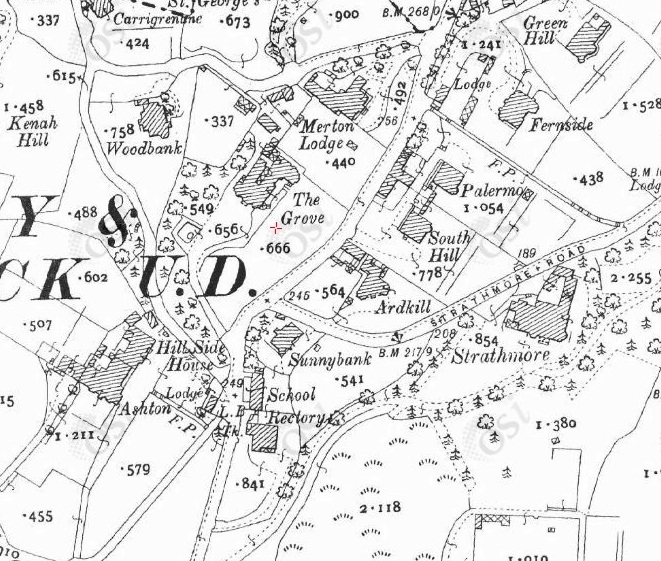 The Grove on 1887 to 1913 map. 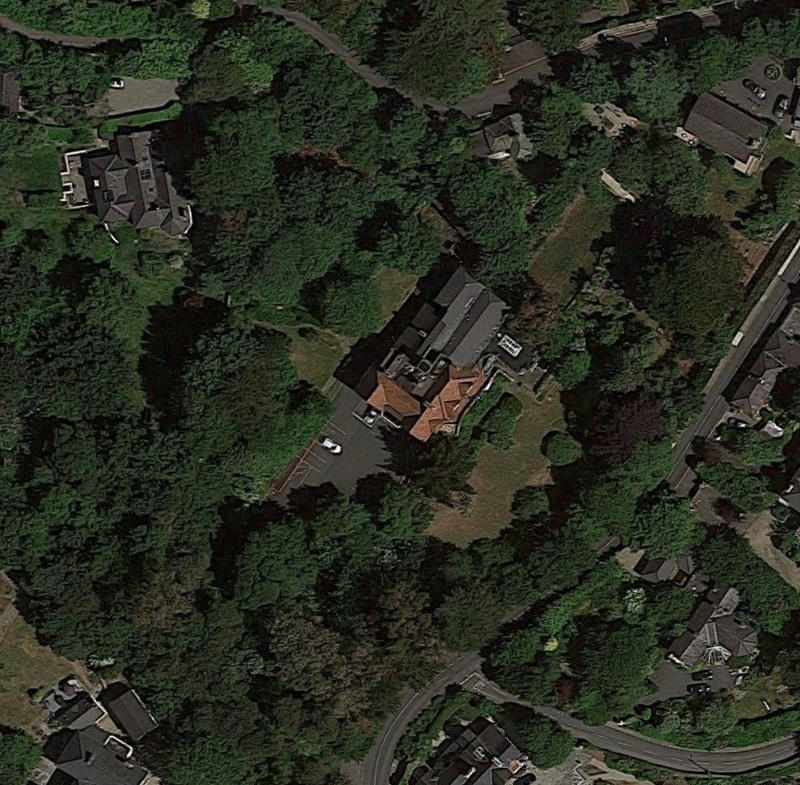 The Grove, Killiney (red roof). 2019 image from satellite view. The Grove from the air. Photo 1920s. The Grove from the air. 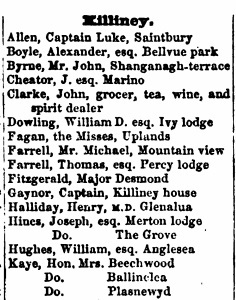 Joseph Hines listed at "The Grove" under the Cabinteely section in [Thom's, 1850, p.835]. There is no "Glenfield" listed. Thomas Greene, J.P., listed at The Grove on p.1802 of [Thom's, 1921]. 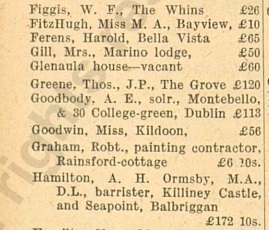 O'Mara listed at The Grove on p.1824 of [Thom's, 1926]. 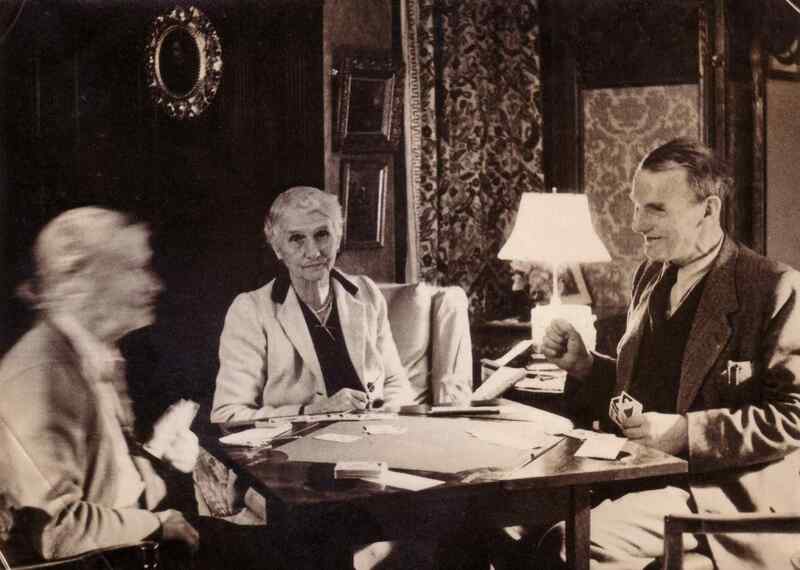 (Left to Right): Agnes Cashel, Maureen O'Mara, Steen, Fr. Paddy O'Mara. 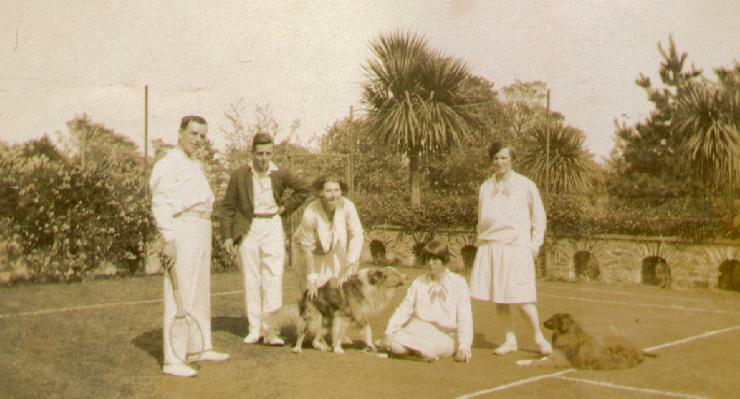 Tennis court, The Grove, Killiney, summer 1926. 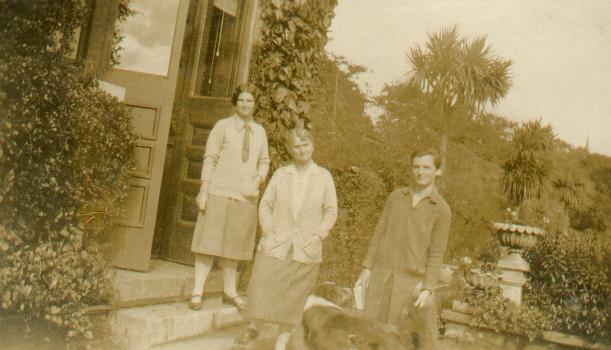 (Left to Right): Maureen O'Mara, Agnes Cashel, Eithne O'Mara. 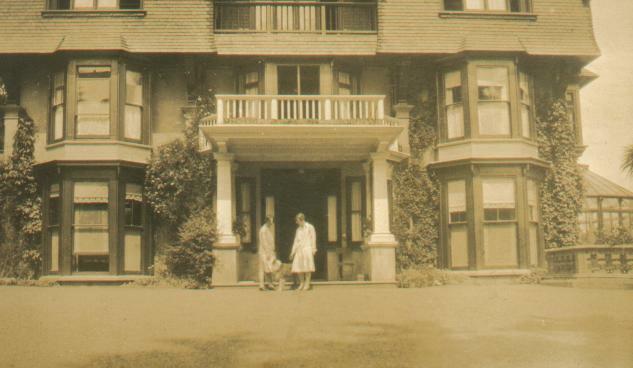 Probably at The Grove, Killiney, c.1927. Playing cards at The Grove, June 1954. Cousin Bee, Agnes Cashel, Steen. Playing cards at The Grove, 1955. 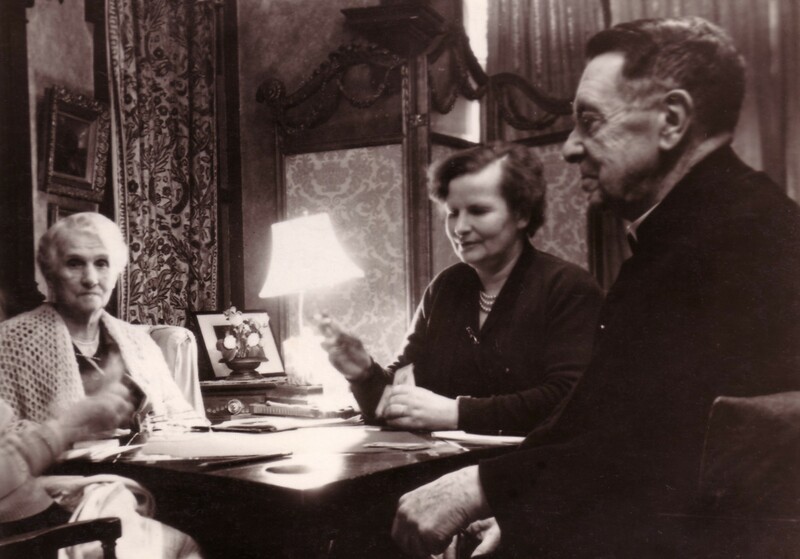 Agnes Cashel, Una Shanley, Fr.Paddy.